TAX2GO,LLC tax planning and compliance services are designed to maximize benefits – both at the individual and business entity level. Scores of clients have used our services and come out at the winning end, and so can you! Our tax strategies will put money back into your pocket. Whether you’re an individual or a business, we will help you realize the huge but often hidden potential of new tax laws, and use it to your maximum advantage. We help you stay on top of tax law changes and legislation. We enjoy strong advantages in identifying tax planning opportunities that will help minimize your current and future tax liabilities. Leverage our tax saving strategies - and reduce taxes owed on your income, estate, gifts, investments, and retirement distributions. Find your way to greater financial prosperity. To help companies achieve financial goals, we have introduced bookkeeping to help businesses make financial decisions clear and understandable. Bookkeeping activities range from short projects (e.g. QuickBooks cleanup) to longer term relationships (e.g. monthly activities and accounting circle). Our staffs’ members are trained on the latest QuickBooks updates. We help businesses: Record sales, service performed, cash receipt or spend, account receivable or payable in general journal or in quick book (depending on company plan). Prepare journal entries, Ledger, trial balance, make adjusting entries and prepare financial statements at the end of the each month, quarter and year. Prepare company assets depreciation schedule, update asset accounting value in balance sheet. Setting up a new QuickBooks company file, catching up on a few months of backlog that you may have. We charge reasonable prices compared to independent bookkeepers and you get the stability of a full-fledge firm behind you. There no risk of your Arlington-Duncanville bookkeeper disappearing on you and leaving you in a tight spot. You are hiring a firm not an individual. We have affordable pricing: No “one size fits all”. Your bookkeeping needs change over time. 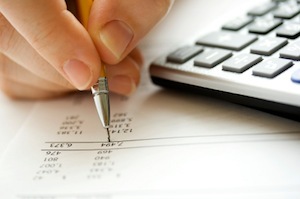 Sometimes you need a very experienced bookkeeper to solve a complex issue. Sometimes you need a lower cost bookkeeper to get high volume work done. We will assign bookkeepers that match your needs so that you never over-pay. And last but not least, we provide such quality work, that we will save you billable hours with your CPA. If you have question or concern, give us a call and our staff we be happy to help you. Rakesia’s Notary Signing Agent Service started in 2002 with the hopes of being the best. I am committed to providing my clients with the best service possible. Our customers look to us for incredible service for all their Loan Document Closings and Legal Document Signings. Base Fee: $5 per signature. **Other fees could apply & will be given with quote. Will provide services for Major Lenders starting fee: $100 plus travel, Email docs extra. Title Co., Escrow Co., Banks, Mortgage Co., and Attorneys.